Building on this question "Discovery of life on Mars"
Applying this, Is it possible for this Mars to be "The Red Planet"? From the timeline you describe, there had been no satellite imagery of Mars surface at the time of the landing. As long as no large structures had been built and there were no large settlements (at least above ground), it is doubtful that any signs of medieval era type civilization would have been noticeable from Earth. Food and water would have to come from somewhere, and that somewhere is probably going to be from underground somehow, as large bodies of water or vegetation would be noticeable from Earth. How would the weather be like in this Mars? Would the Mons volcanoes be taller and active? - What effects would they do to the planet? Would the poles be frozen? Could flora be red instead of green? First of all, let's dispel a myth. Mars isn't really all that red and those parts that are red are due to oxides in the surface material; Mars is literally rusting. This presents a problem because what that rust is actually doing is tying up all the oxygen in your atmosphere. Without plants to photosynthesise, or some other endothermic reaction, you can't release that oxygen back into your Martian atmosphere. So, you definitely need plants. Black. Not just in the visible spectrum, but also probably in infrared, and definitely in the Ultraviolet bands. Why? Because earth plants are green because they're reflecting green wavelengths of light. Martian plants cannot afford the luxury of reflecting ANY light energy it gets; not if you also want an oxygenated atmosphere. As has been noted, red plants may also work because the red energy is the lowest energy part of the spectrum (which is also why I put a probably against infra-red), but given the lack of sunlight there by comparison to Earth, I'd argue that black leaved plants are still going to out-compete the red ones, unless the colour has another benefic attached to it within the ecosphere. This is assuming surface vegetation of course. In your question, you put forward the idea of underground water sources and vegetation; such 'vegetation' is likely to be fungal in nature, but that doesn't help you with an oxygenated atmosphere which is why I put this alternative. The weather and volcanic activity of Mars isn't that likely to change all that much; a magnetic field implies that Mars may have a molten metal core, meaning that it's possible that the volcanoes could still be active but given their relative height and the layout of the planet, that's by no means certain. Your atmosphere, if denser, will mean that the Martian dust storms could do a lot more damage than they presently can because although they look impressive on the surface of Mars, at less than 1% atmospheric density, they do very little harm. Of course, such a density isn't livable for complex life, especially humans, so your tradeoff in making the planet habitable is either much slower wind speeds, or more kinetic energy in them (and therefore more potential for damage). As for the poles, just how 'frozen' they are would actually be dependent on what atmospheric density you apply. The denser the atmosphere, the lower the melting and boiling points of different materials are. The Martian poles are essentially coated in a form of dry ice, or solid CO2. You wouldn't have to make the atmospheric pressure too much denser to make it melt, or even boil back off to a gas. The water there is probably still going to be frozen, unless you're dealing with an ultra-dense atmosphere and you're not going to want to do that. Once you've done all that, there's only one thing I can guarantee you; your planet won't resemble Mars much at all anymore. As for the weather, I would expect somewhat Earth-like one, but can't really say for sure. Magnetic field means molten core and therefore active tectonics which would cause active volcanoes. This could make them taller, but could also wreak all kinds of havoc on them. Earth has magnetic field, atmosphere and even active volcanoes and poles are still frozen - so - why wouldn't they be frozen on Mars. As Chronocial pointed out in a comment, flora can be red, yellow etc, even black - which would make it absorb way more wavelengths than the green flora does (you can say that Earth's plants are spoiled by too much light). First of all, I'll assume that Mars would have an habitable atmosphere. Very stormy due to the landscape. AFAIK most parts of Mars are more or less flat, resulting in a place where nothing breaks the wind. BUT if you add plants or even trees to the equation, this effect could diminish. Nearly no wind, resulting in very strict climate zones, with maybe a dead zone at the equator and the poles. Wind on Earth within Earth's atmosphere results mainly from the differences between land and water, which are missing on Mars. But one force is still there, and that's the difference from the poles to the equator, which could result in strong winds towards the equator on ground-levels with resulting draft in the opposite direction in the higher levels. This would likely carry any water/clouds more to the poles, resulting in a very dry equator and humid zones towards the poles. Yes definitely. The poles on Mars get way too little sunlight to not be frozen. Sure. But flora color isn't the only problem we need to look at, at least if we assume an atmosphere. The atmosphere would have clouds which should be observable from earth, even back then. BUT: clouds could be red, too. yes, Jupiter is very different to Mars. Nevertheless, we are not able to explain how this part gets so red. Following this missing knowledge, clouds could be red. And about the flora: IMHO you could even argue that the oxidized materials on Mars would give plants a kinda reddish color. Like flamingos. Probably Earthlike, since you have duplicated most of the other conditions, the weather will naturally be very similar. The wind storms we see today would not happen because erosion would be controlled by the plant life, and new mountains would be added over time by tectonic activity. Taller yes, active yes. And it would be the same as Earth, causing greenhouse gases and blocking sunlight. Probably, just like Earth. Depends how many greenhouse gases you add to this planet to control the temperature. Earth already has red plants, so yes. However, a cold planet like mars would have vegetation similar to the northern parts of Earth. Small, simple, hardy and able to survive desert like conditions. So to summarize, Mars would look like a smaller Earth. With one exception. The water wouldn't be blue. Water is blue on Earth because the sky is blue. From space, you're seeing a reflection of the sky itself. Mars has a weird sky colour. It's blue right near the sun, and yellow/red/orange everywhere else. So you would have a green and white planet, with yellow/red water. If enough of it is water, you might still call it the red planet. Not the answer you're looking for? 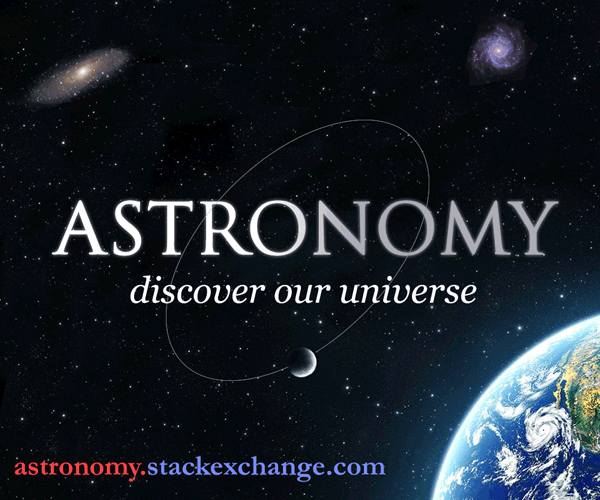 Browse other questions tagged planets geography flora weather or ask your own question. How would a Martian colony be able to celebrate Christmas? What could alien spores (flora) do to humans? Can a terrestrial planet have a long lasting hurricane like the great red spot? Could a human colony persist long term on a planet with limited food and water resources?